I grew up in southern NH and learned how to ski at the age of three at Gunstock. In high school, my social studies teacher Dave Hawley told me that if I wanted to ski for real, I would have to free my heel; so here I am now, a telemark skier. Telemarking was also a much cheaper alternative than alpine touring, so I bought my first telemark touring setup for less 100 dollars. I spent a lot of time in high school touring around Mt Washington, and then move to Bozeman MT in 2008 for Bridger Bowl… err I mean college. 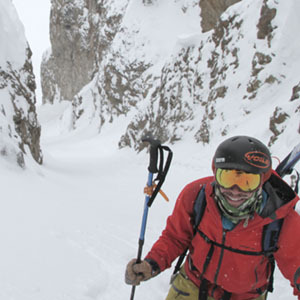 Now I am based out of Bozeman, ski a lot in the Tetons, and still ski a lot at Bridger. I really like the fact that I can adapt the activeness of my bindings based upon which type of terrain I am skiing. 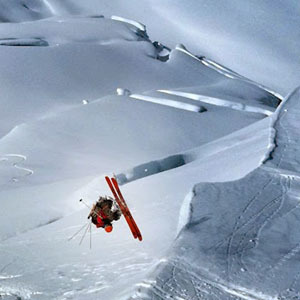 I generally ski on a neutral setting when I am skiing slow in steep no-fall terrain, and like a more active setting when skiing in bounds. I also like the fact that they are indestructible. When I am not skiing, I am generally working all the time as an instructor for Outward Bound or Montana Wilderness School. Between contracts I do random guiding work, host dinner parties at my friend’s houses, or go rock climbing. My main psych for telemarking lies in ski mountaineering; trips and locations both near and far from home. 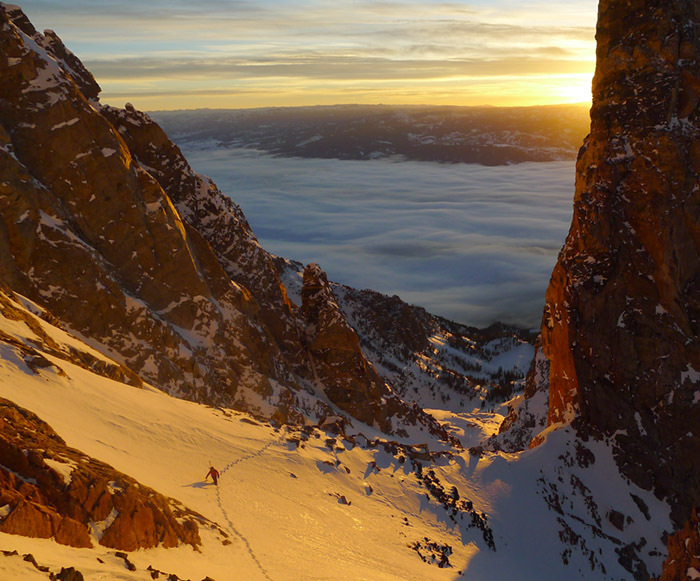 I have first descents in the Revelations, St Elias, and Alaska Ranges of AK, also in the Purcell range in Canada, Peak descents of Cayambe and Chimborazo in Ecuador, and a number of classic ski descents in the Tetons including a solo ascent/descent of the Grand Teton. 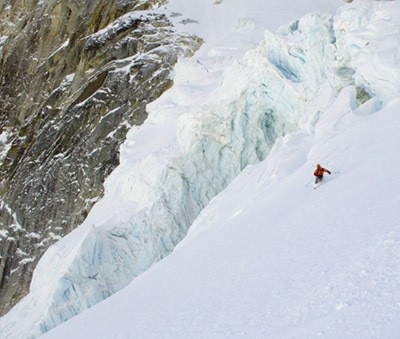 I most enjoy skiing sphincter clenching couloirs in no fall zones with close friends. I have written for Telemark Skier magazine, run my own personal website www.telemarkty.com, and have been fortunate enough to share my love of backcountry skiing with students at Outward Bound. I am also sponsored by Voilé and Glerups of Denmark. In the future I hope to continue skiing in wild places, share meaningful experiences with close friends, and push my personal boundaries both as an athlete and human being.